Every year you build new memories with your family that you’ll want to remember forever. While polaroids and printed photos are a great way to showcase them, a photo album ensures your pictures are cherished for years to come. 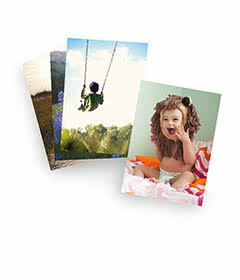 Family albums also make great gifts or keepsakes. Surprise your mom with a unique family album of last year’s holidays or gift your sister a book of your favorite moments as kids. If you’re unsure where to start, we’ve gathered eight family photo album ideas, perfect for any occasion. Your year is filled with activities, sports, vacations and milestones. An annual yearbook allows you to recap some of your favorite moments and memories including holidays and birthdays. Play around with album covers and recreate the same one each year to see how you’ve all grown. If several members of the family graduated, you can compile all of those photos together in one book. Include the ceremonies, graduation party photos and the graduates with some of their best friends and teachers. These photo books will make great gifts for moms, dads and grandparents. Time spent with mom and dad no matter at what age, is precious. If there is a special place you frequent together, a memorable bonding moment or any fun adventure you’ve experienced with as a little one, create a special piece that you can gift them when they get older. It’ll surely bring back the sweetest childhood memories. Firsts are once in a lifetime moments. Whether it’s baby’s first steps, first Christmas or even first vegetable, a collection of these will make you smile every time you open the pages. Share these special moments with your loved ones, especially those who are far away. It will make them feel closer to home. Seasons come with such a variety of things to do: fun in the sun, Halloween parties, ice skating and beautiful flower fields. Reminisce on all your favorite family traditions and work on creating new ones for future years to come. This photo album idea can be made any time of the year. If you’ve ever considered making a family tree collage, you should also consider a “generations” photo book to go along with it. Great-grandparents, grandparents and parents have molded some of the best family traditions that have been passed on throughout the years. Gathering pictures of them along with new members of the family can not only be beautiful, but educational as well. There’s real beauty in black and white images. It gives the photo a timeless look and emphasizes emotions in a way that color doesn’t. Gather your favorite black and white photos and make each spread a different theme such as “us”, “family” and “places.” Flip through the pages and get inspired for your next artistic photo project. Whether you’ve been around the world, on fun weekend getaways or road trips, family vacations are always filled with everlasting memories. If you’re looking for a unique gift for a college student, this would make the perfect keepsake to take with them on their new journey away from home. The great thing about a photo book is that it can be about anything. Scroll through your Instagram photos or recent digital album to gather your favorite picks. Below are some more themes you can base your album around. Holidays: Easter, Halloween and Christmas are all special holidays you share as a family. Make sure you include everyone in your family and share it at your next family gathering. Siblings: Brother and sisters share a special bond as best friends and partners in crime. Show your sibling how much you care by compiling all your favorite snaps throughout the years. Children’s artwork: Instead of putting your children’s artwork on your fridge, why not create something special that can be treasured for years. Simply scan, store and place in your favorite book template. School days: From the first day of Kindergarten to the last day of high school, it’s amazing to see your child grow. Keep these memories in one place to see how much they’ve evolved. You’ll even get to enjoy their unique fashion style. Family sayings and quotes: Do you remember all those things your mother or father said that made you laugh or think? Creating a book of family sayings along with family photos is the best way to gather all the advice you’ve been given along the years. Mother’s or Father’s day: Every Mother’s and Father’s day is special. If you are looking for the perfect gift, a photo book with your favorite memories of mom and dad is the way to go. Milestone birthdays: Quinceañeras, 21st, 40th and 75th birthdays are a big deal. Whether you choose to place several milestones in one book or individually, it will be a celebration every time you flip through the pages. As you can see, family accomplishments, activities and artistic takes are all wonderful photo album ideas. Throw in your most creative photo book title, pictures and quotes and make a fun keepsake for yourself and your loved ones. If you’re wondering how to create a photo book, begin by choosing a theme and get started on your next book adventure.